These days, major properties are almost assured to receive merchandise licensing from at least the following companies: Funko, Sideshow Toys/Hot Toys, (insert snack company here), and Lego. When you go with Lego, and you have a movie, you have a great shot at a video game! Jurassic World is no exception. The beloved franchise (well, at least 1/3rd beloved…) has seen its share of video games throughout the years, but none have really hit the mark. Lego games tend to be such locks, but how do 65 million years worth of bricks hold up in Lego Jurassic World? Hold on to your butts. 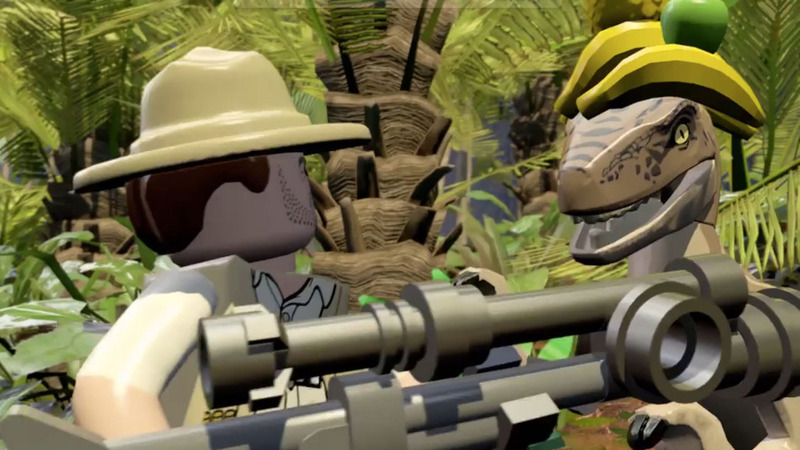 Lego Jurassic World is a fairly straightforward adaptation of the series’ four films. After playing through the big raptor tease opening from the original film, you land on Isla Nublar and can Jeep into Jurassic Park or monorail into Jurassic World. For review purposes, I went went through Lego Jurassic World sequentially (2 and 3 will unlock as you progress). At this point, I probably don’t need to explain the plot of Jurassic Park: the wannabe dinosaur theme park has things go awfully wrong when life finds a way. Jurassic Park 2, of course, is the backup plan based on Isla Sorna with their dinos meant for San Diego. Jurassic Park 3, scourged from many memories, sees the return of Park’s Dr. Alan Grant as he helps a family with a search and rescue on Isla Sorna. Jurassic World sees the “successful” return to Isla Nublar, where John Hammond’s Disney World dream has been fully realized, but under the mercy of a hybrid dinosaur. 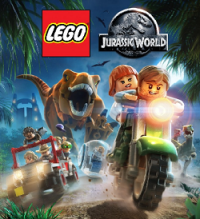 What may be Lego Jurassic World’s best element is how much more enjoyable it makes the plot. No matter how you feel about the movies, that Lego game charm and humor replaces any of the melodrama and ridiculousness. The game will even, in some areas, take an opportunity to point out ludicrous plot elements and character decisions within the films. I’m of the opinion that part of what made Jurassic Park resonate with viewers was just how much everybody wanted to go to that park. How insanely awesome would it be to see an extinct creature up close? You would want to take care of the triceratops, take a stroll through the gallimimus hillsides, and shoot some up-close photos of stegosaurus babies. Even when everything goes horribly, horribly wrong, you could identify with the fear. 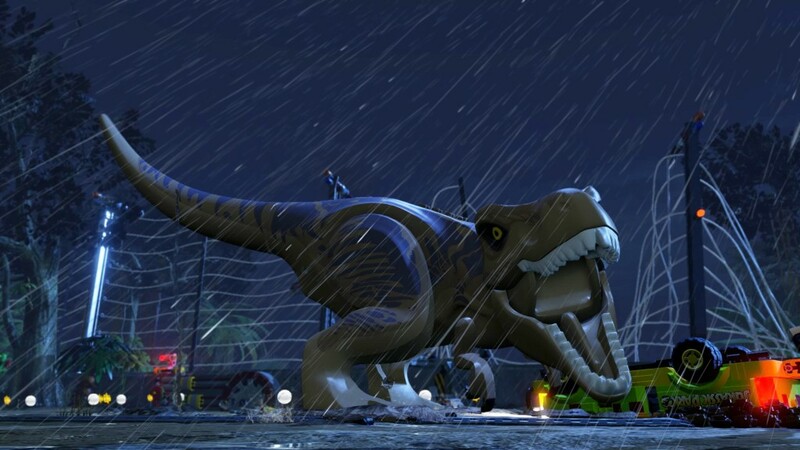 So while most other Jurassic Park games have dictated specific experiences mostly geared away from going through the films themselves, Lego Jurassic World revels in allowing you to go back to everything you loved about the films and explore the park on your own. Raptor cages in Jurassic Park? Go for it. Jimmy Buffet’s Margaritaville, Pandora, or the Samsung Innovation Center (#branding) in Jurassic World? You can (though the branding is taken away). Regardless, the park is truly open for you. Strip away the nostalgia and you still have an enjoyable game. It will continue to follow the proven formula of its predecessors – simplistic combat spread among a wide variety of characters with their own powers and abilities. This creates great opportunities for replayability, as you can never get everything done on a single playthrough. Missions manage to not simply be rehashes because the story will cut out chunks of the movies to let you focus on the action. They add enough side quest opportunities and new story elements without become too competitive in the types of actions you’ll need to take to progress. That said, it’s not without its quirks. The camera can get a little wild at times, and I noticed framerate issues early on with Jurassic Park story missions. This most notably happened when bringing large dinosaurs, like the brachiosaurus into frame, but happened less as I progressed and was effectively nonexistent within 2, 3 and World. 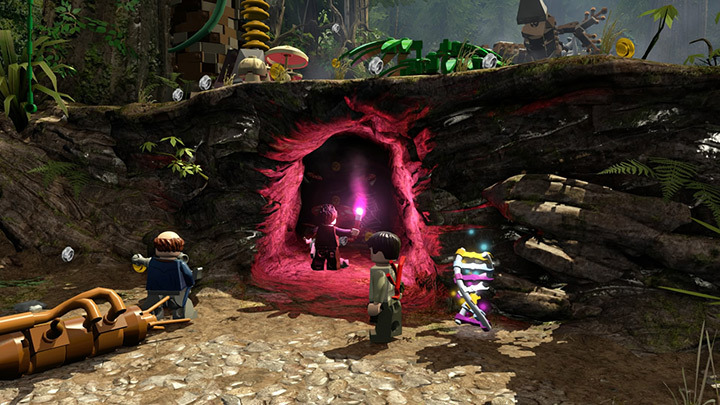 Lego Jurassic World offers a hub environment, so as mentioned, you’ll be able to explore the park at your leisure. Unlike Lego Marvel Superheroes, you won’t really be facing much adversity when doing so. A small dino fight will occasionally pop up and will reward you with a gold brick if beaten, but you’ll be able to roam among even dilophosaurus without being attacked. You’ll be doing so with a wide variety of characters, including all major characters (and their variants) and minor yet memorable characters, such as Jophery Brown (eaten by raptors at the beginning of Park) and Dig Site Kid (aka “Looks like a 6-foot turkey” Burrito Child). Most of the characters need to be purchased with Lego studs and there are some nice surprises at the end, but dinosaurs tend to be harder to get your hands on. Through one playthrough, I was only able to unlock triceratops, stegosaurus, raptors, and a couple others. A nice touch is the ability to customize your own dinosaurs and characters. For your default major characters and all of your dinosaurs, you’ll primarily receive original recordings from the films. I found this to be one of the minor, yet clutch, inclusions that really sells the Jurassic Park experience. Not all characters have their original recordings, including Sam Jackson’s Ray Arnold and Wayne Knight’s Dennis Nedry, but Jeff Goldblum’s chaos laugh more than makes up for it. Instead of banking entirely on the quotability of these lines, Traveller’s Tale did a fantastic job with the dialogue editing to keep things fresh. And to also address the key sound question: John William’s classic themes are very prevalent. You can’t entirely sleep on a Lego title. They almost always bring a level of charm and levity that makes playing the games very enjoyable. 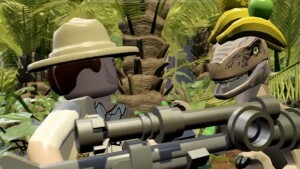 But Lego Jurassic World doesn’t simply rest on its laurels by banking on Jurassic Park nostalgia. Does it push the boundaries for what a Lego game can do? No, but it certainly brings a fresh take on an IP that you can argue is beyond being ingrained into American pop culture. At the end of the game, you have a great, dinosaur-filled package I’d definitely recommend checking out. After all, John Hammond did say “Spared no expense,” right? 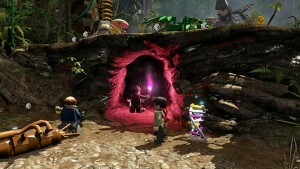 A copy of the game was purchased by the reviewer for the Xbox One and played to story completion, in addition to various freeplay modes.